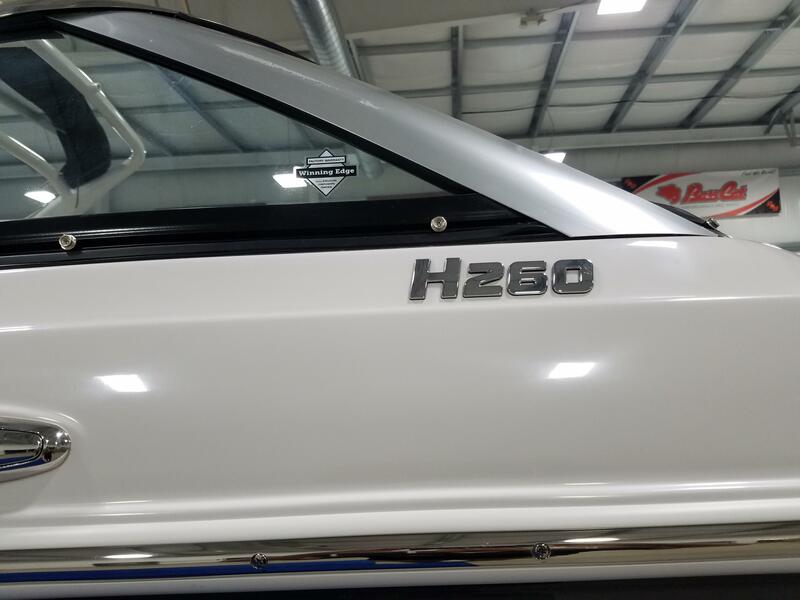 Here is a Four Winns Horizon 260 bowrider fiberglass cruise boat. 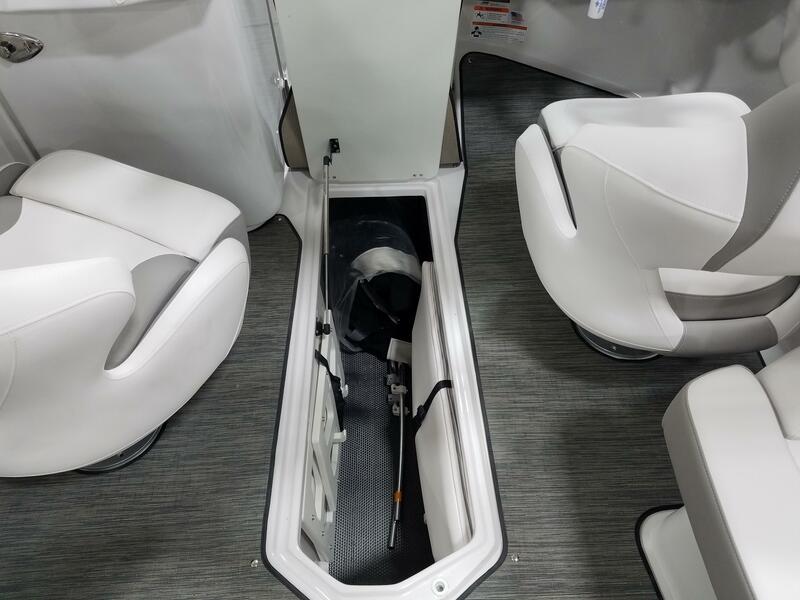 The 260 measures in at 26 feet 3 inches long, has a 101 inch beam, carries up to 70 gallons of fuel and can carry up to 13 people. 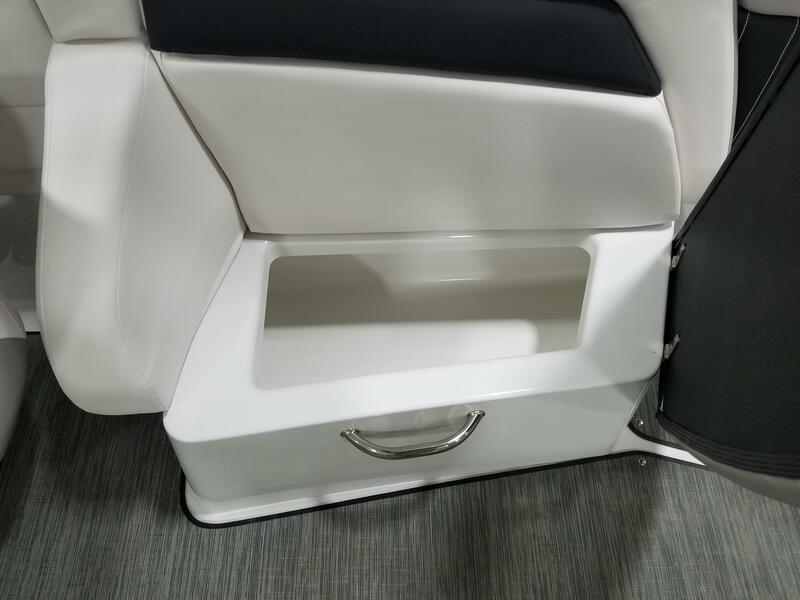 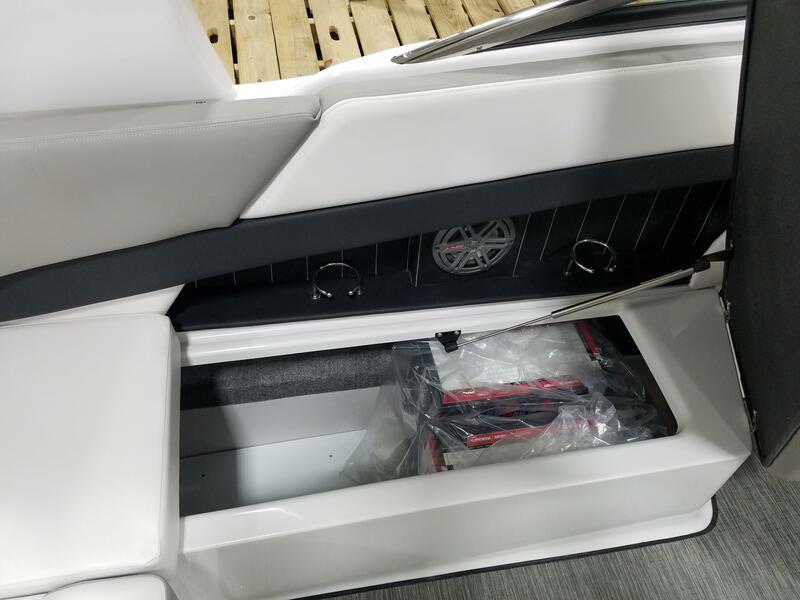 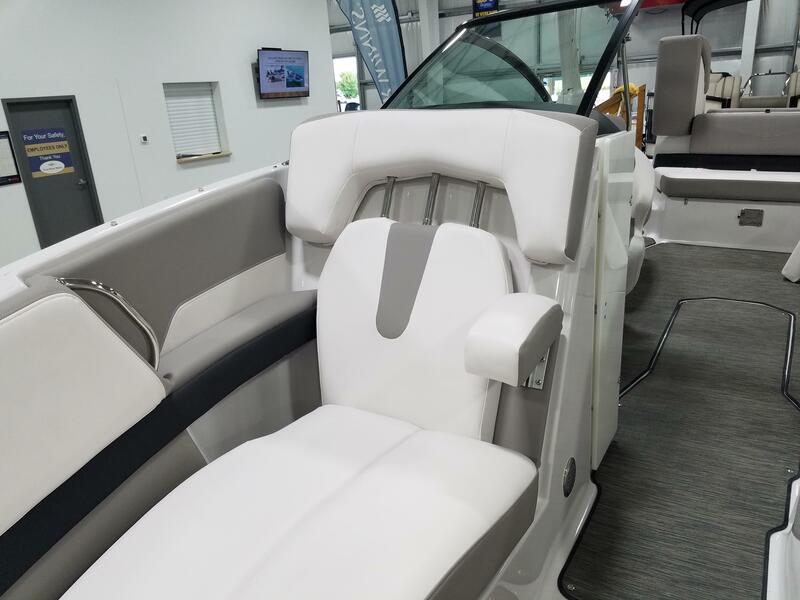 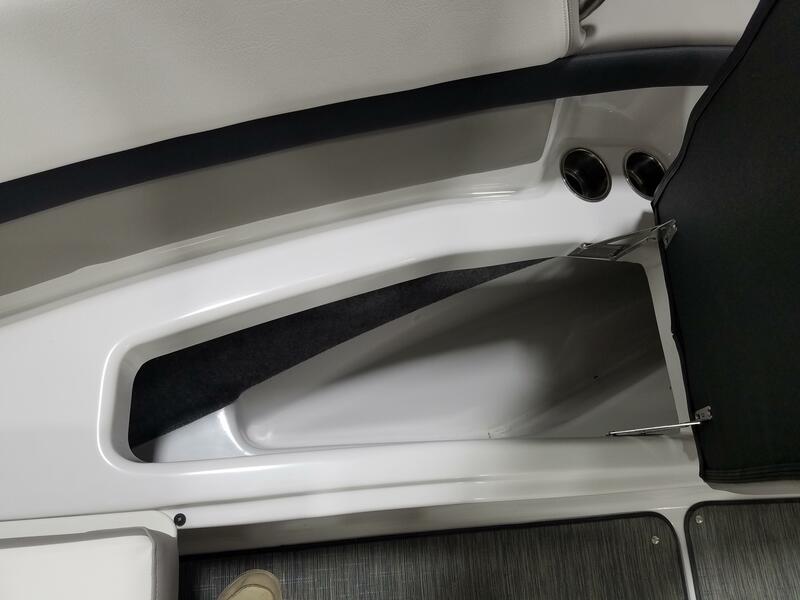 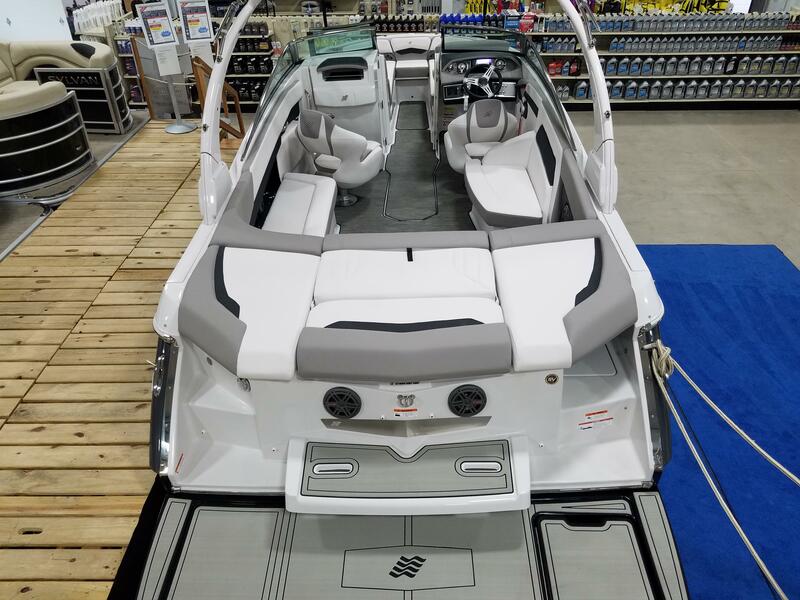 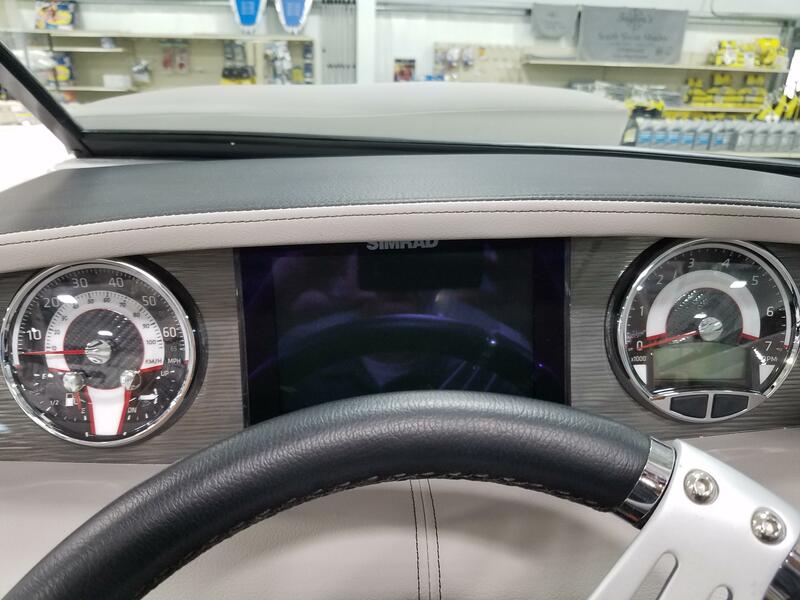 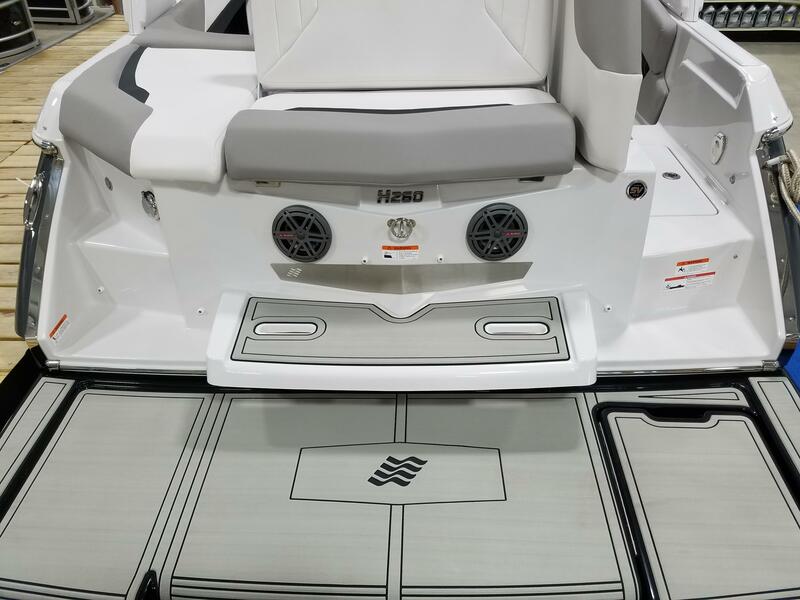 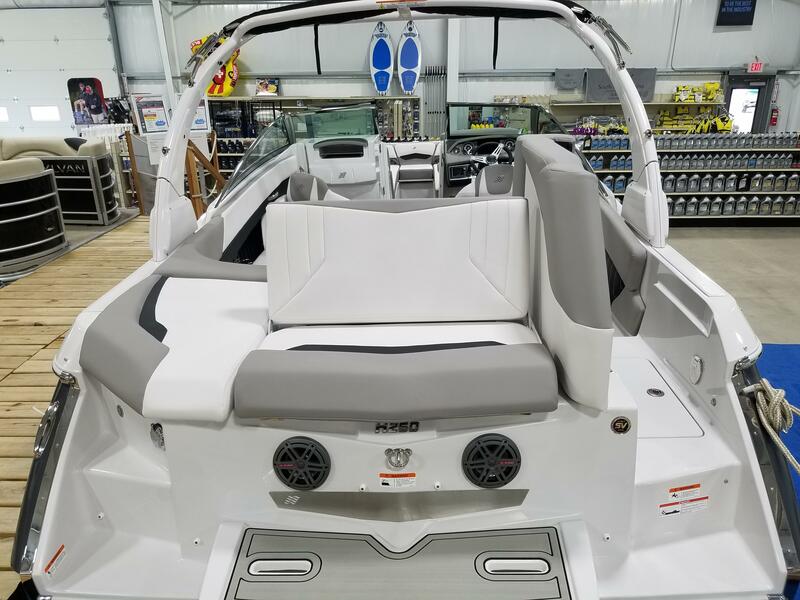 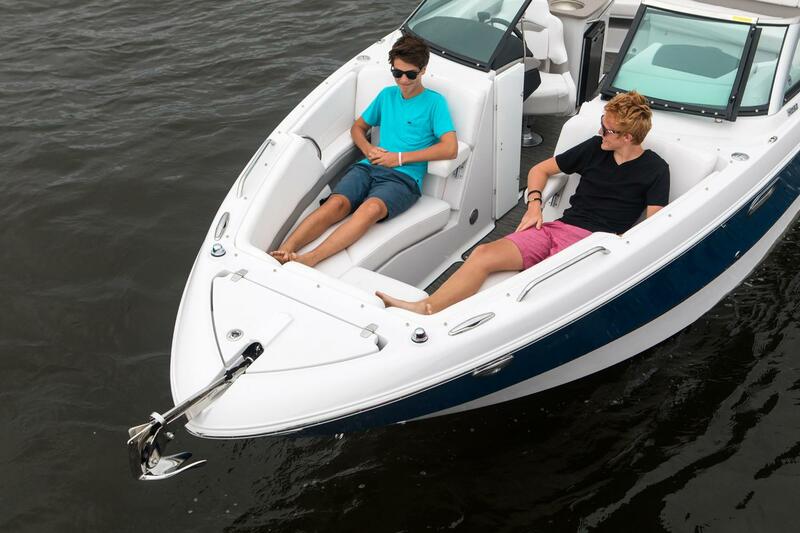 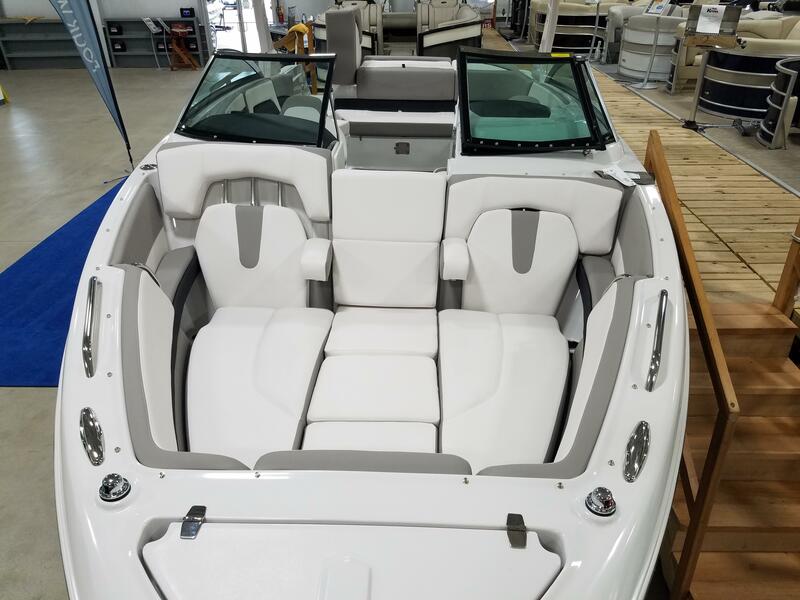 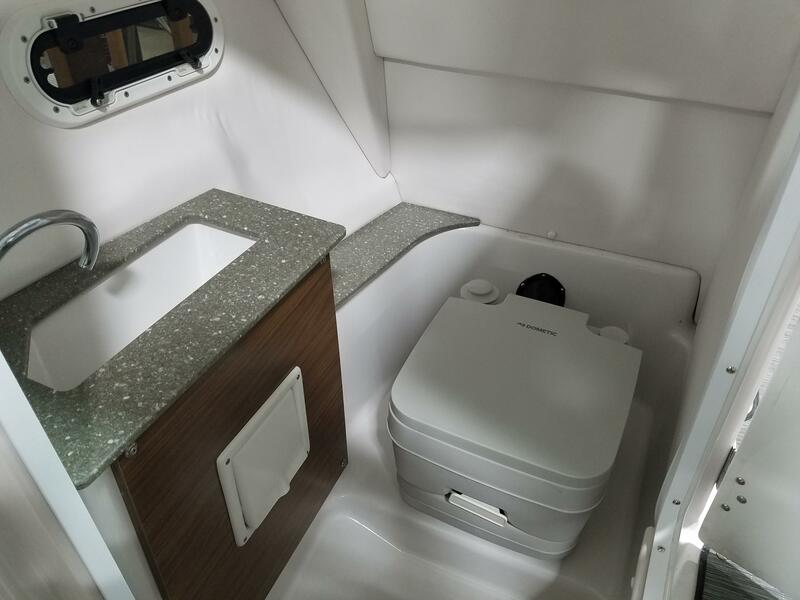 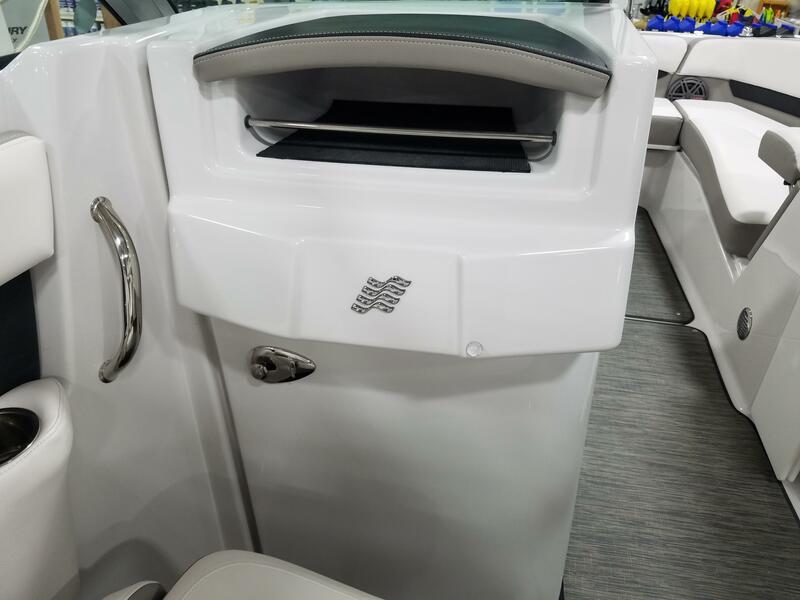 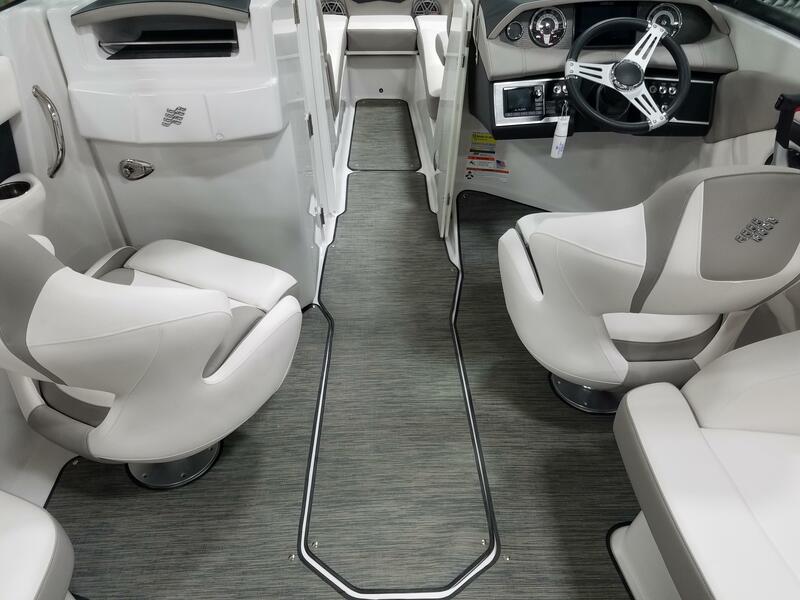 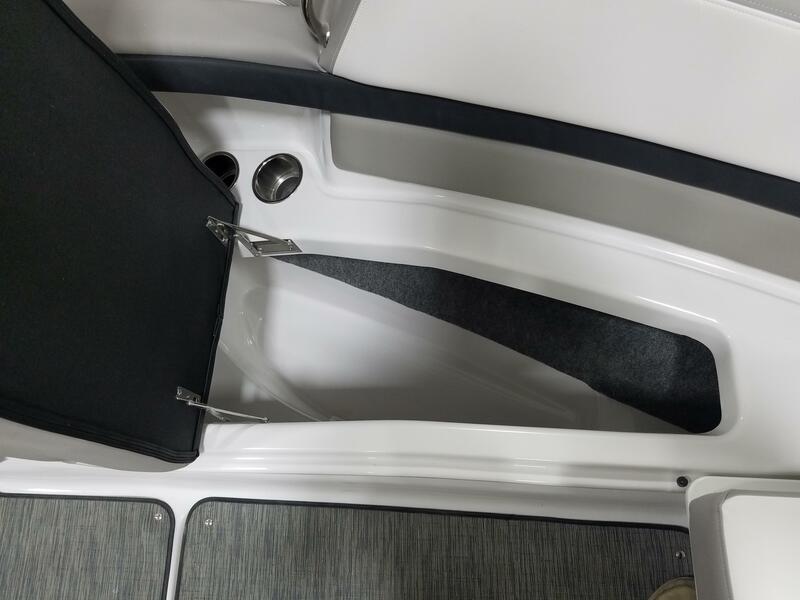 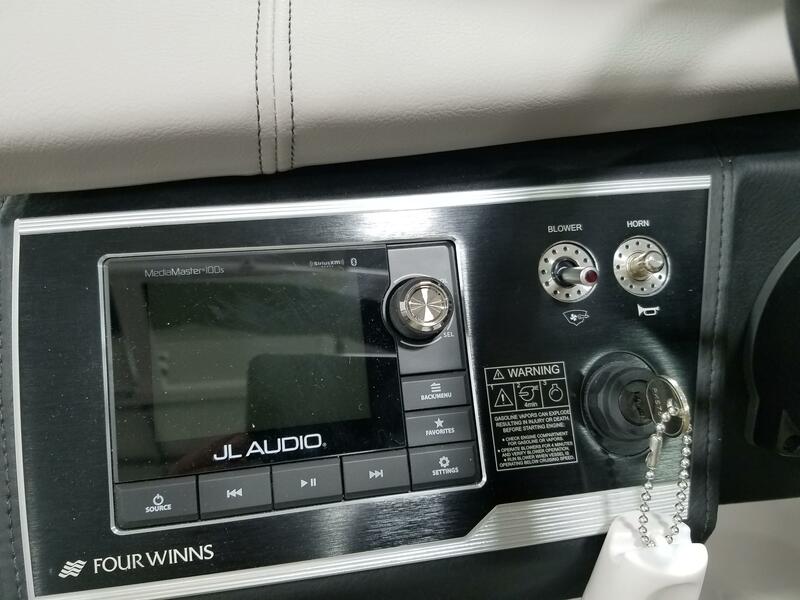 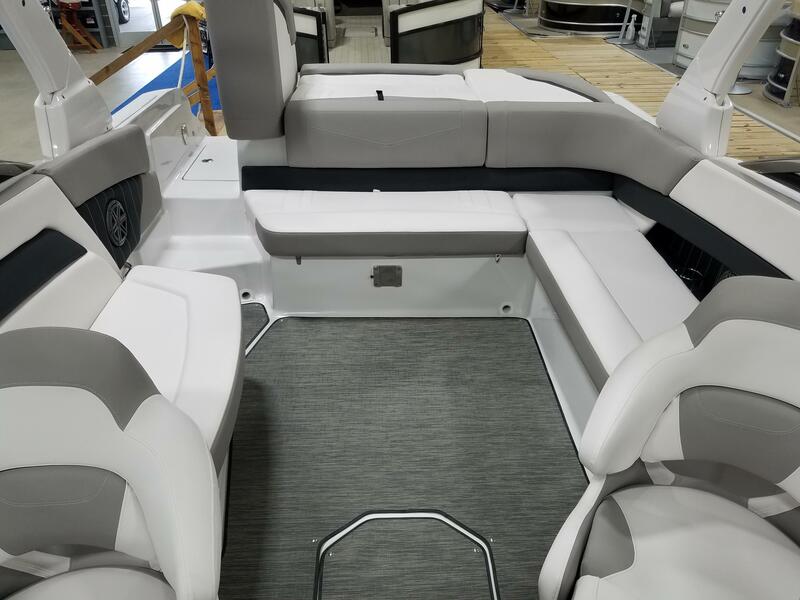 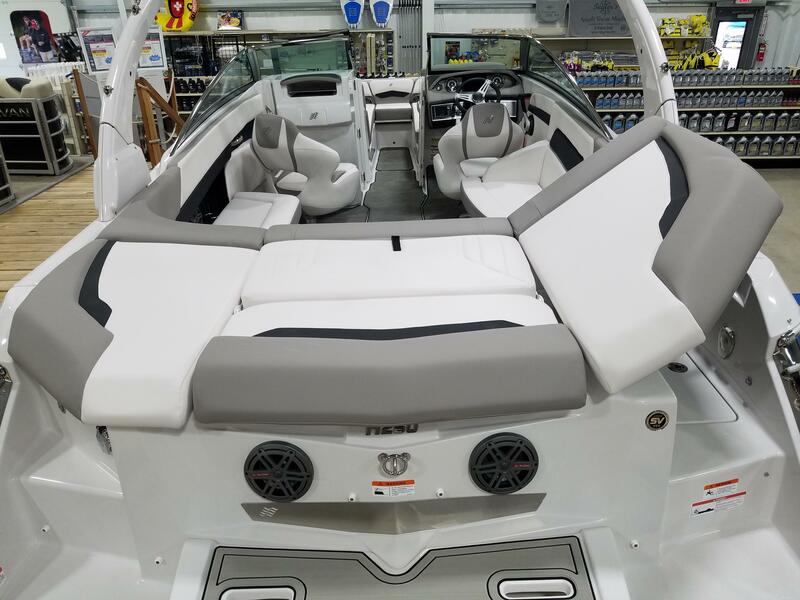 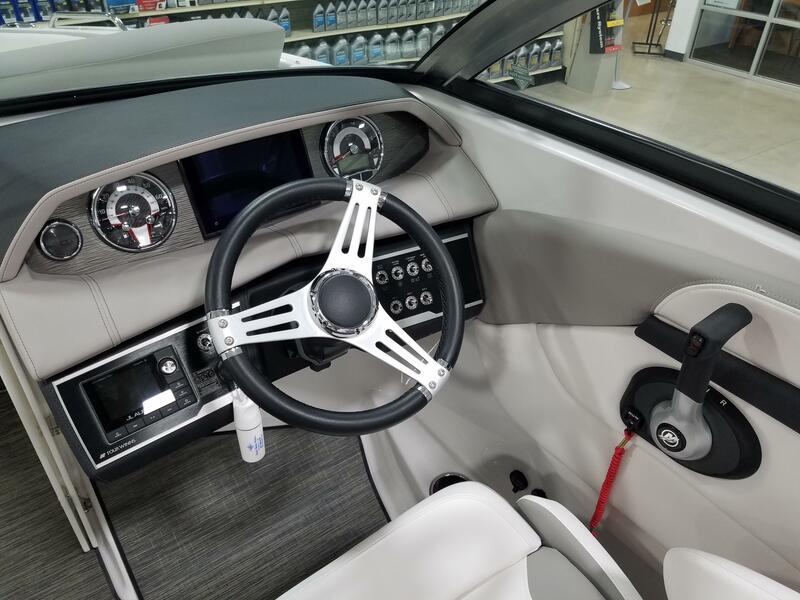 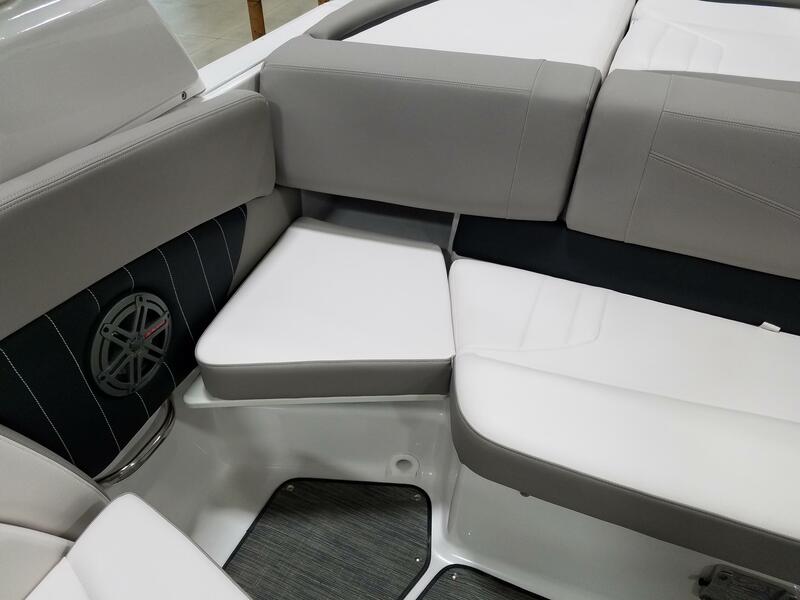 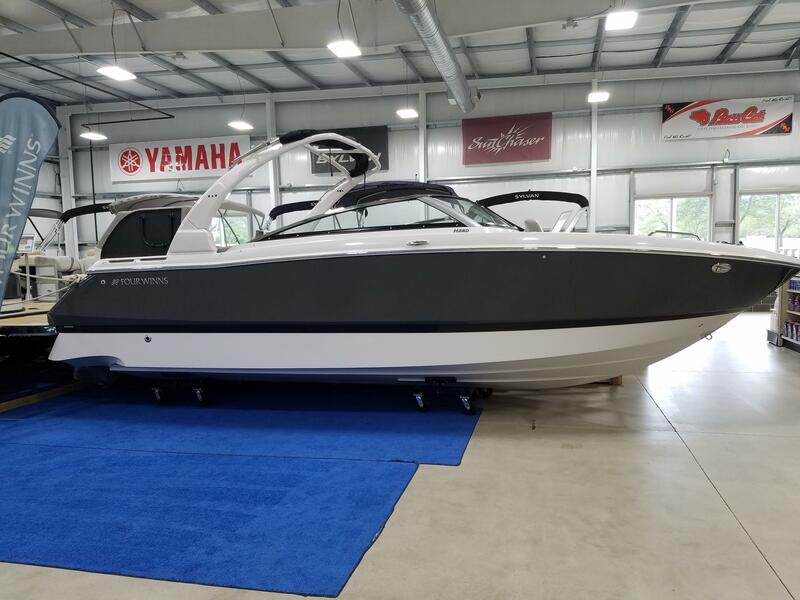 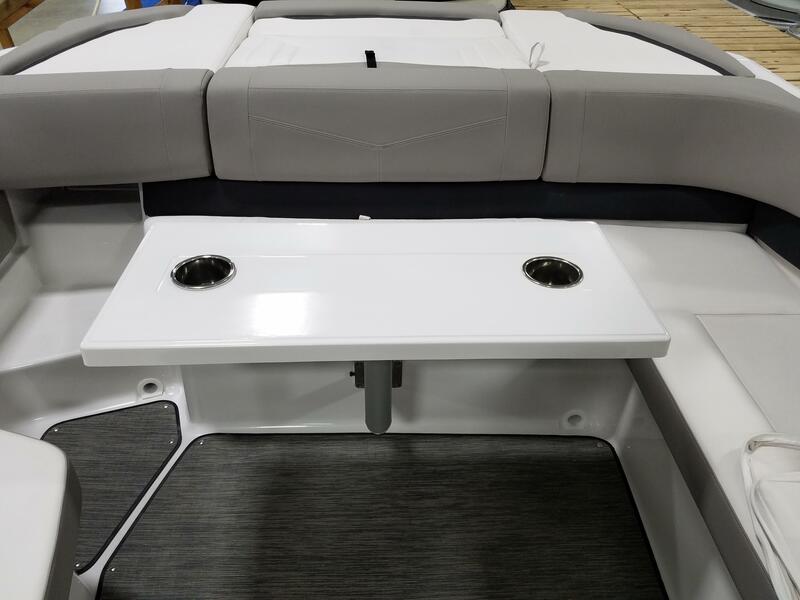 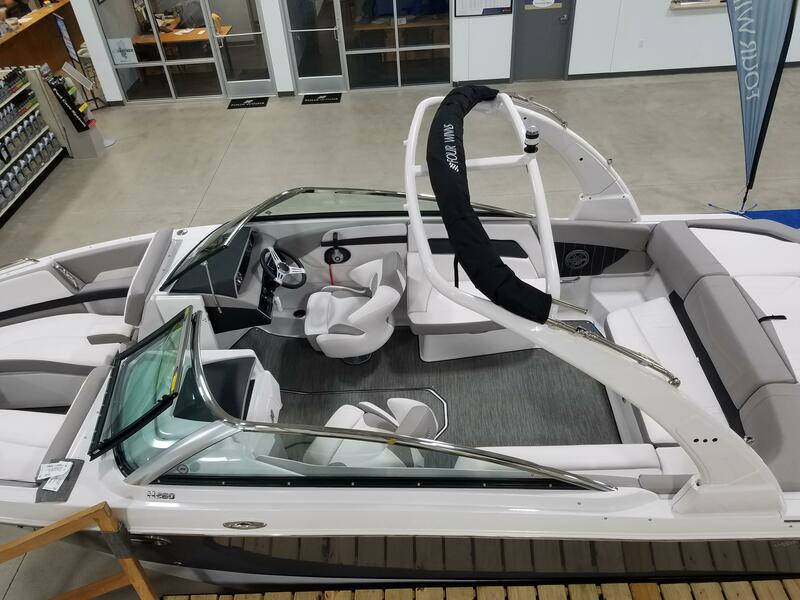 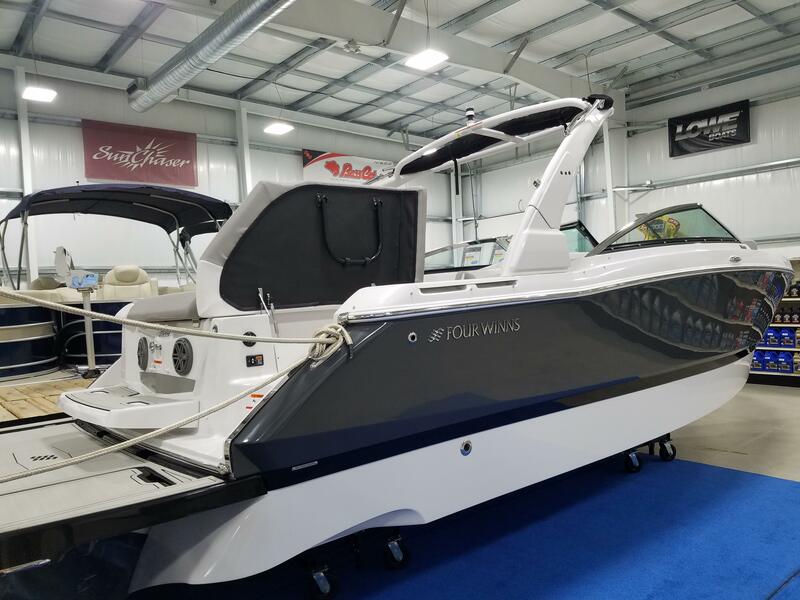 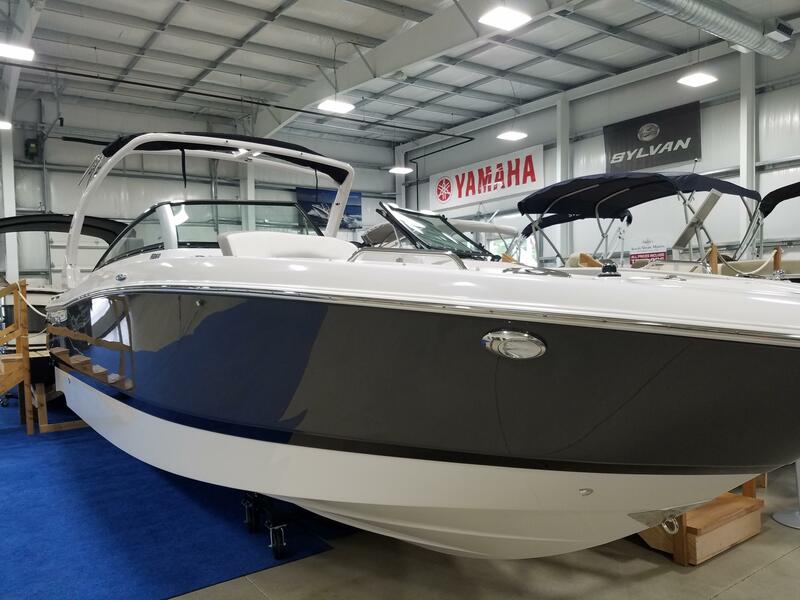 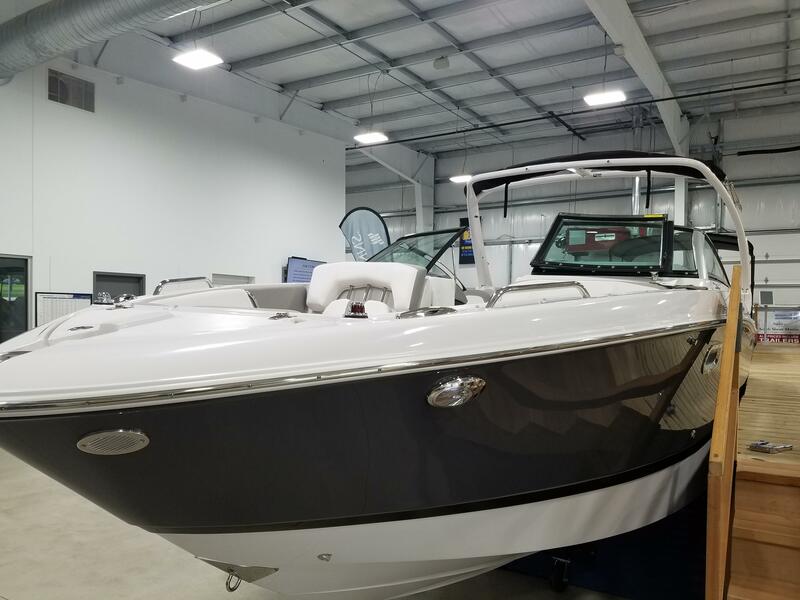 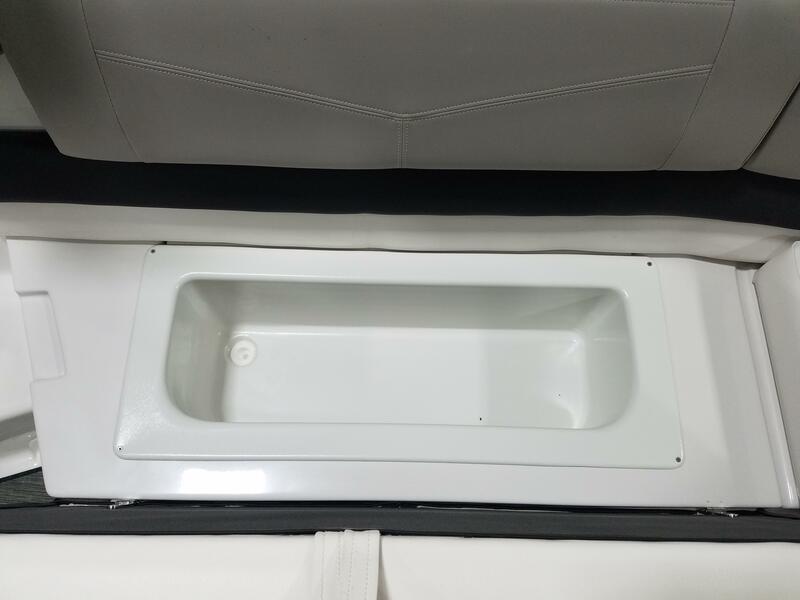 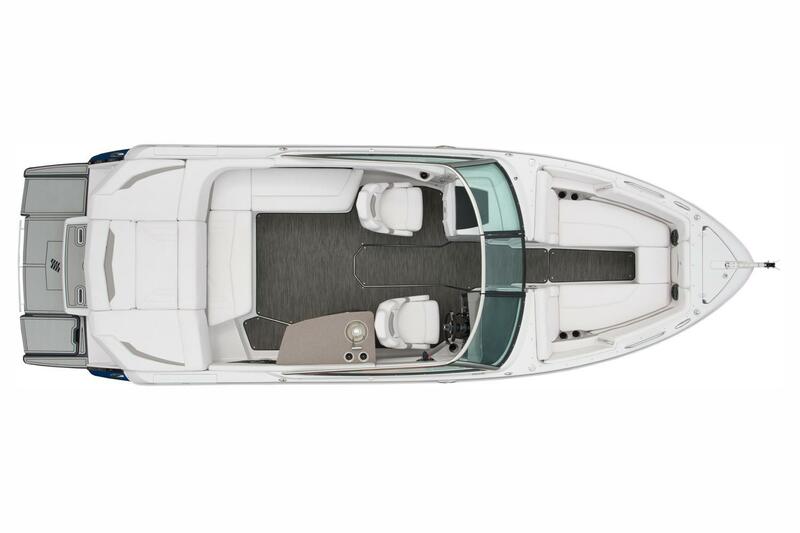 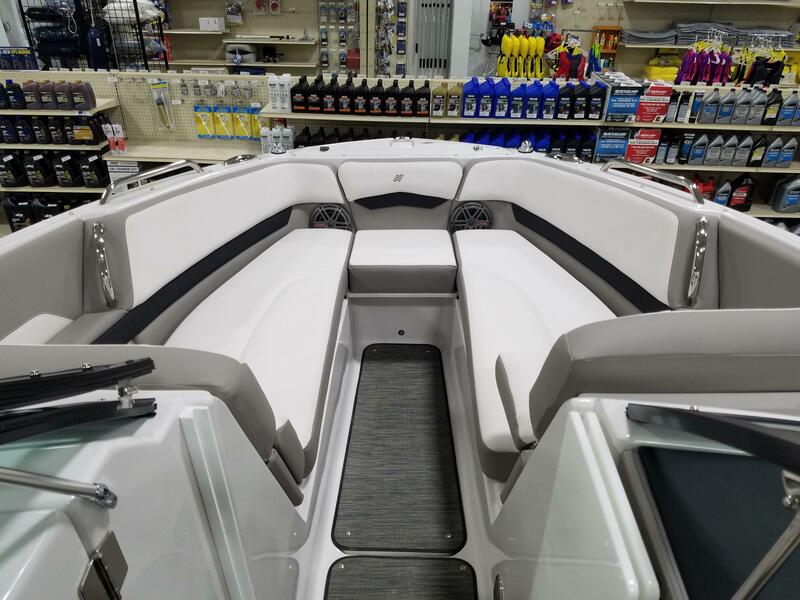 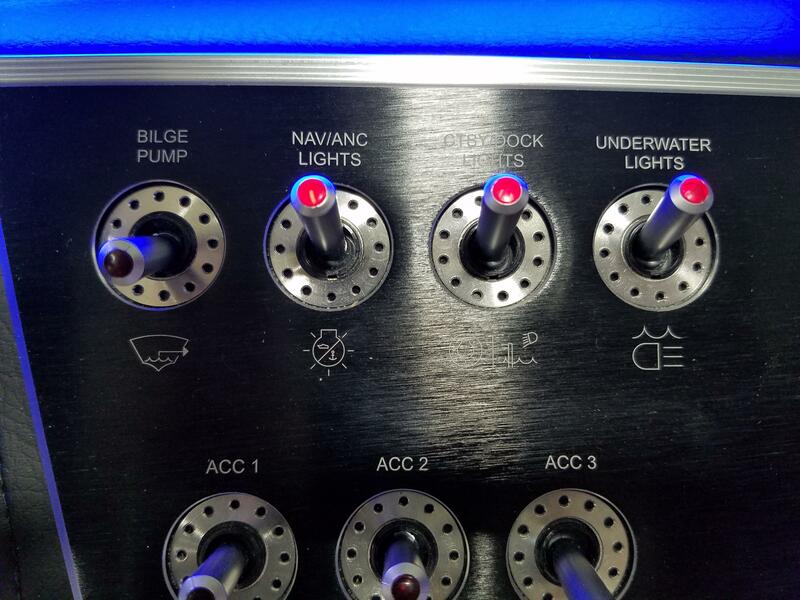 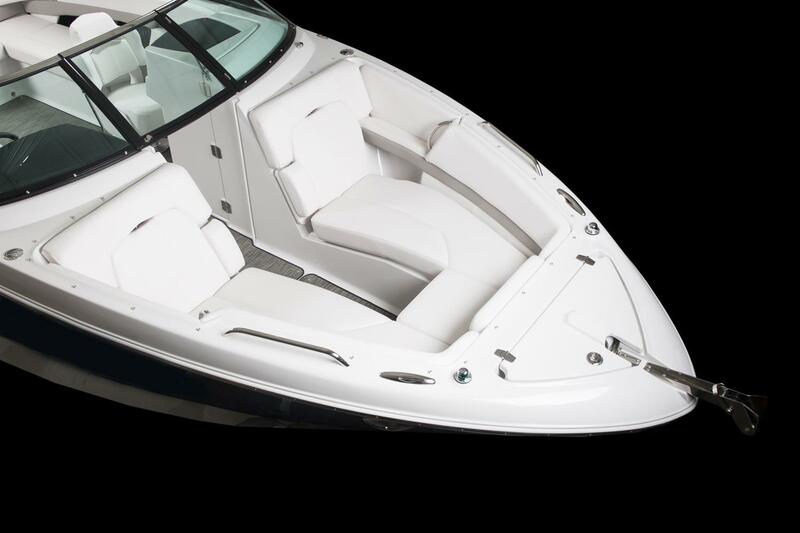 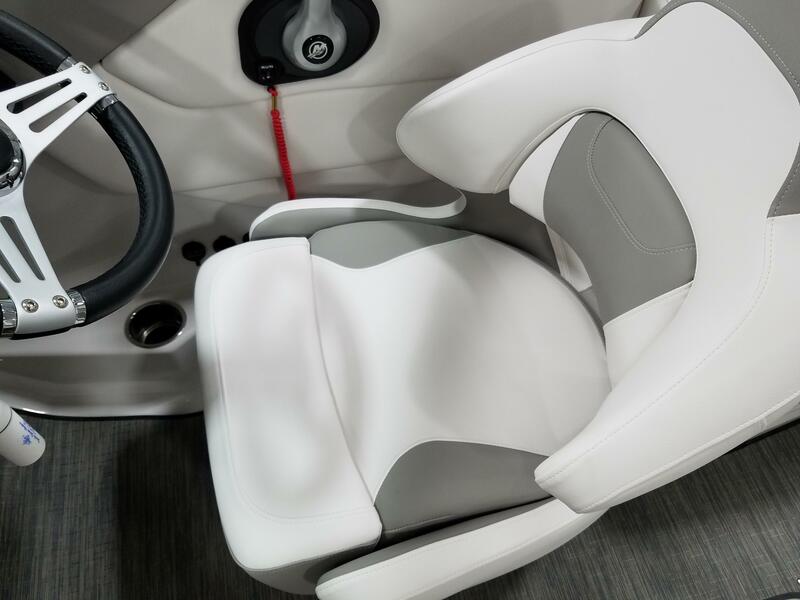 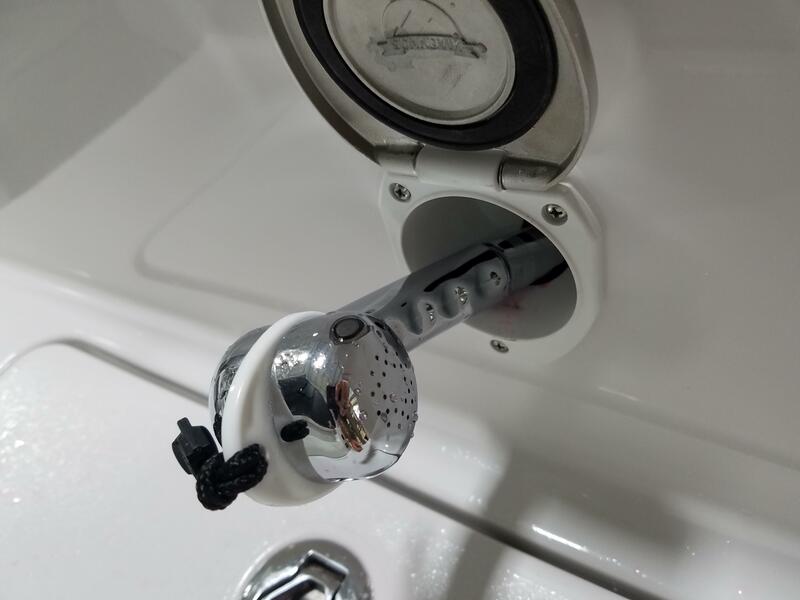 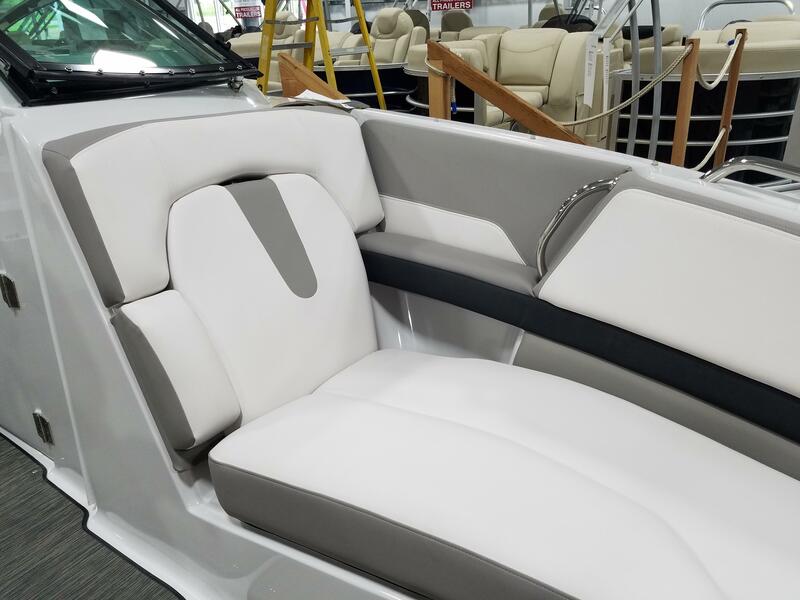 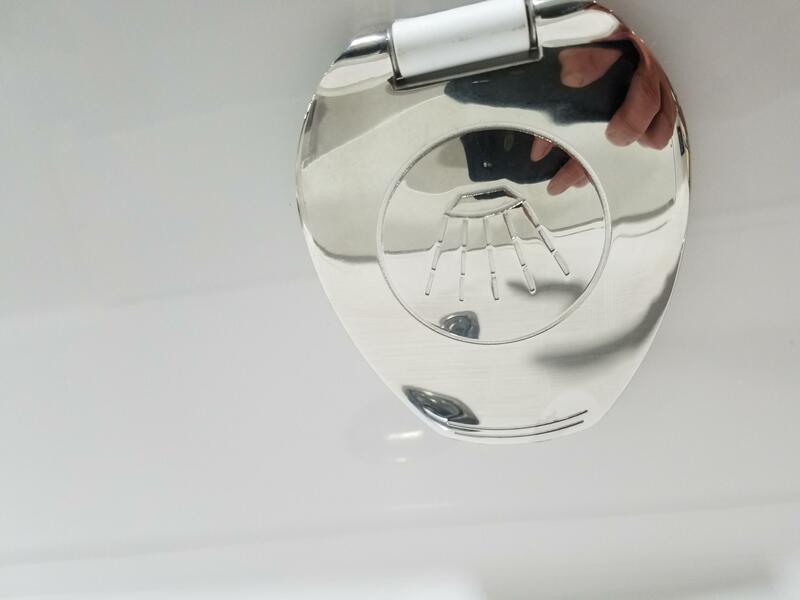 This H260 comes some great upgrades including the LX package (Bimini top, bow scuff plate, pull up cleats and cockpit sea weave flooring), SLX package (bow fill in cushions, bow and cockpit cover, docking lights, swim platform mat, cockpit table and mount and walk thru door), a power wake tower, LED underwater lights, head pump out, 7 inch Simrad GPS chartplotter at the console, chrome wheels and a spare tire. 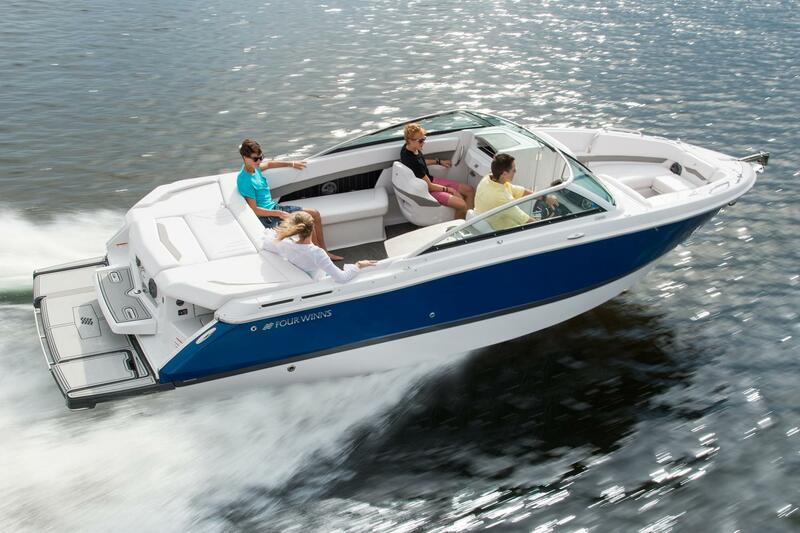 This boat is powered by the Mercrusier 6.2 Liter V8 stern-drive engine with a Bravo 3 outdrive. 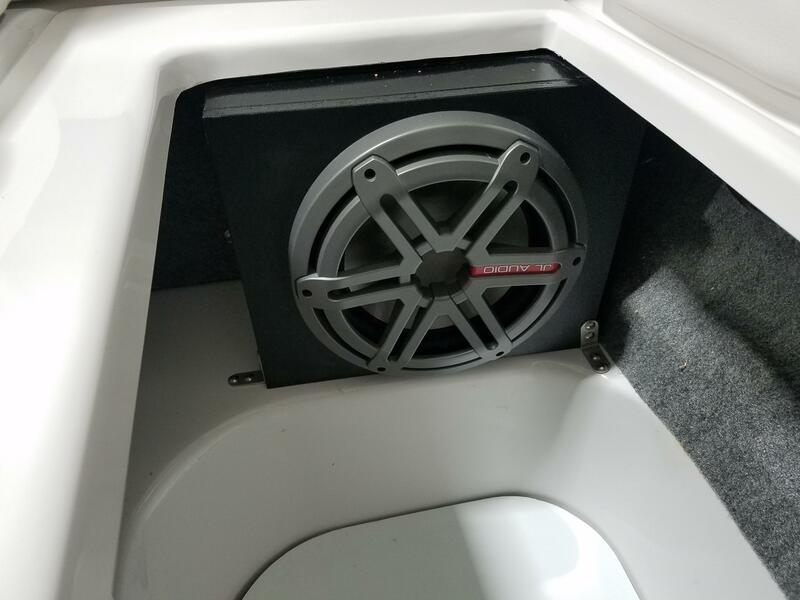 The boat rides on a custom built Four Winns trailer. 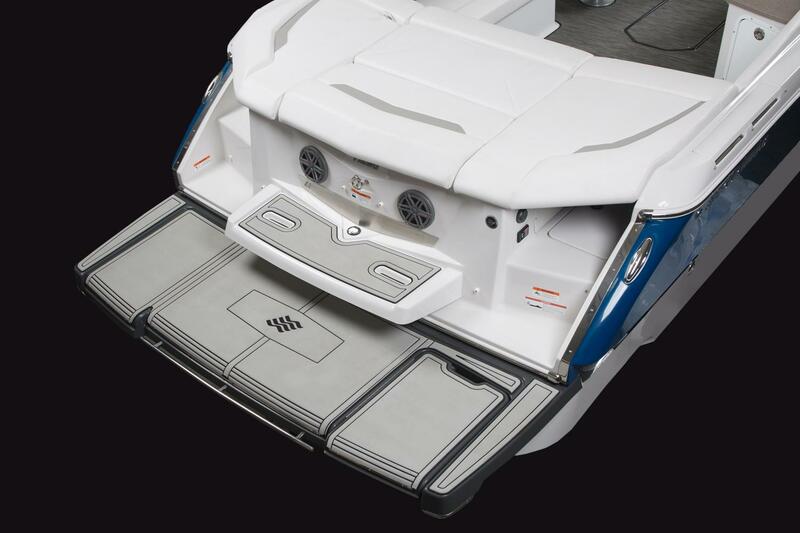 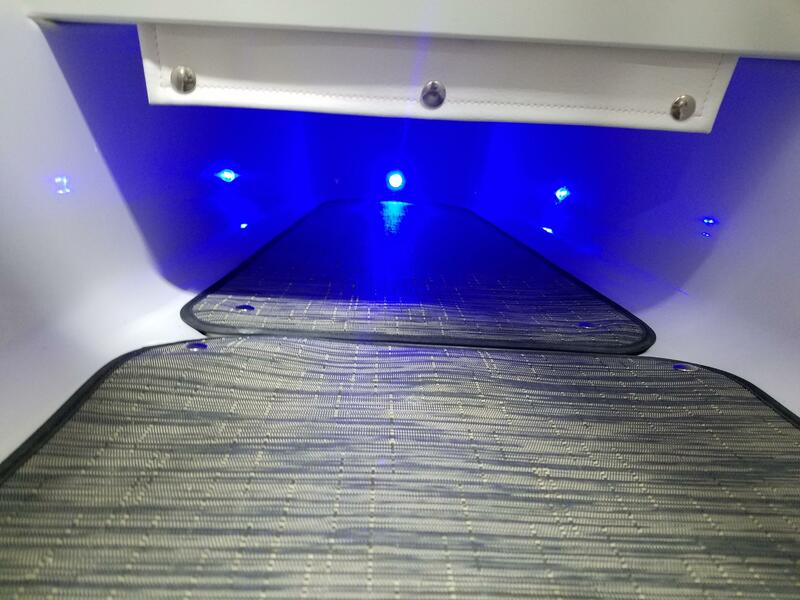 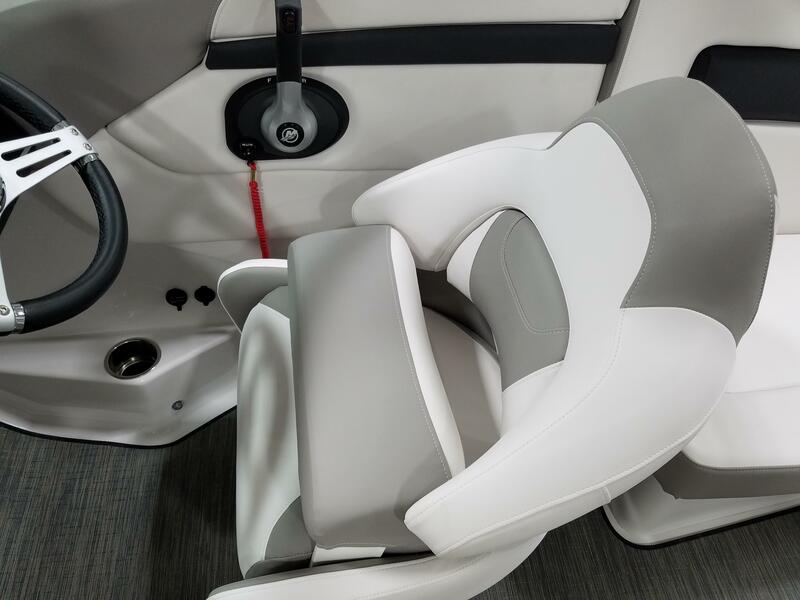 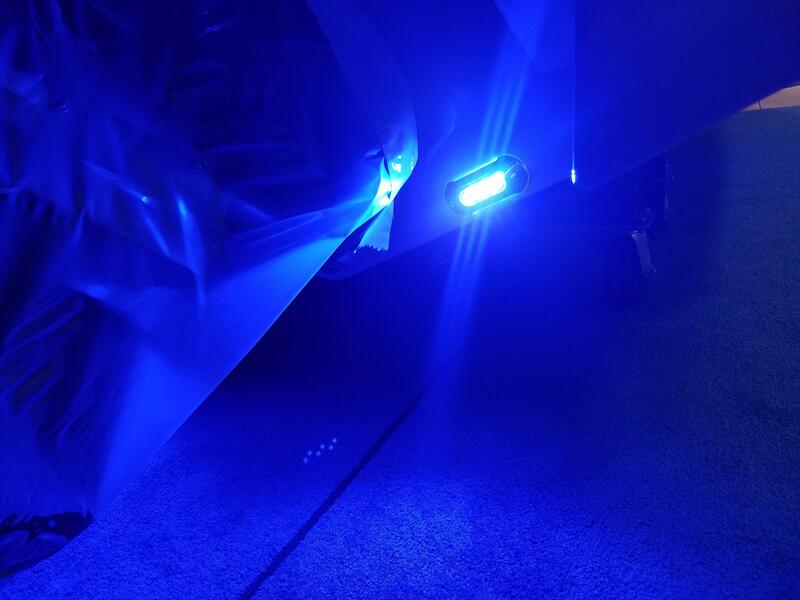 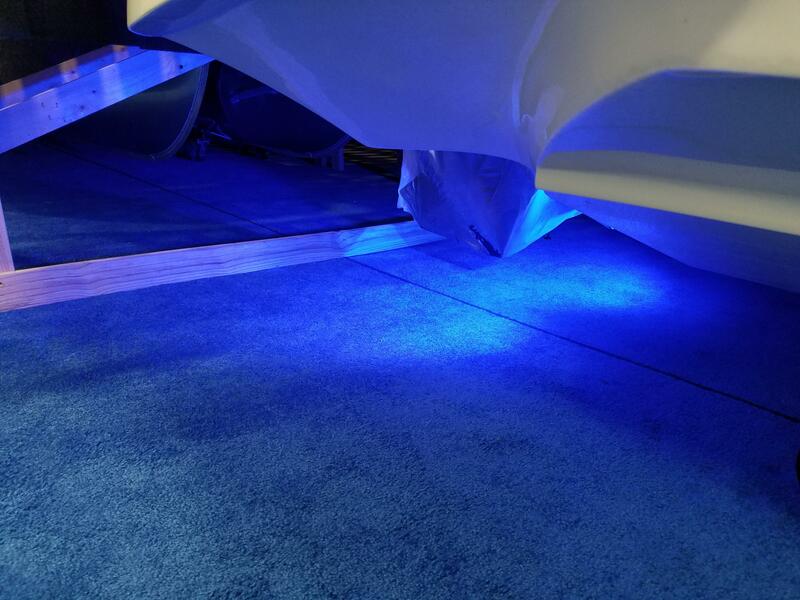 The trailer features LED lights, surge disc brakes and a swing away tongue. 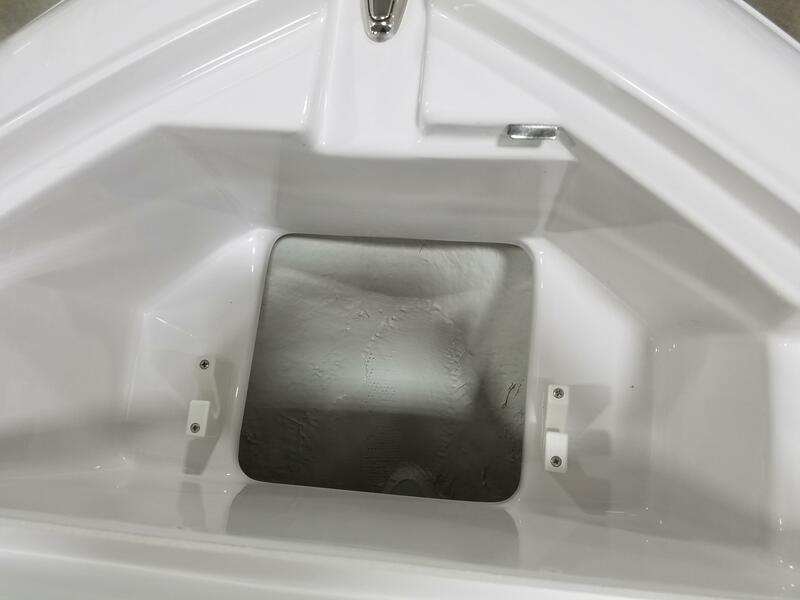 Please call us at (513)-855-4402 with any questions you may have. 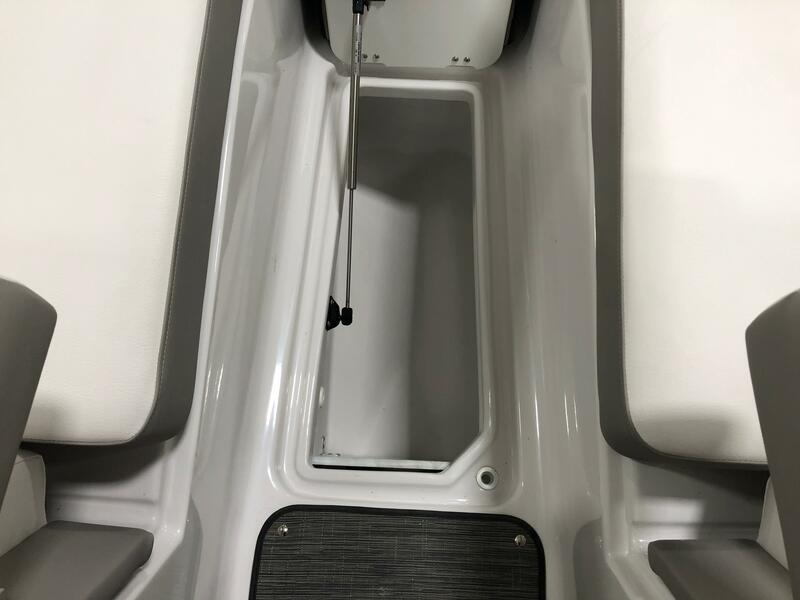 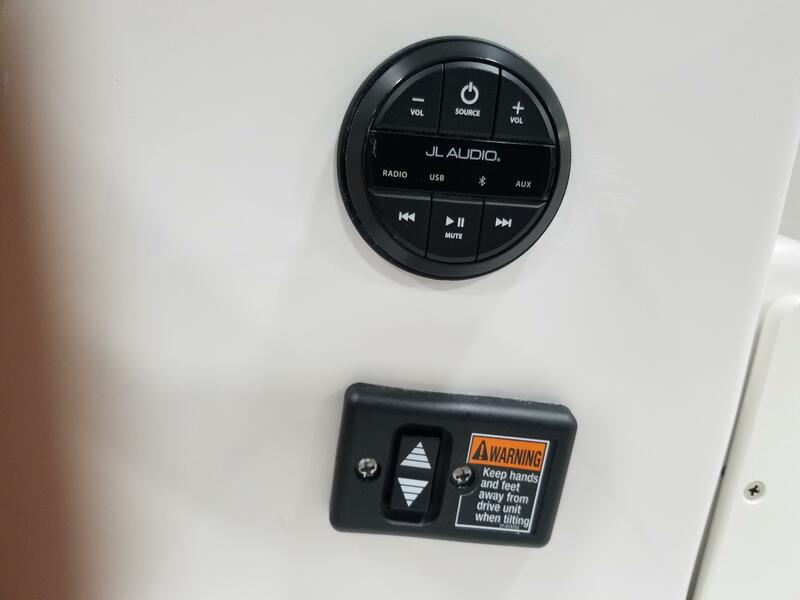 We will move it inside our new 16,000 sq ft climate controlled facility and have a specialist waiting to show you the features and answer any questions.